Dental Treatment Recovery Issues - What you need to know. 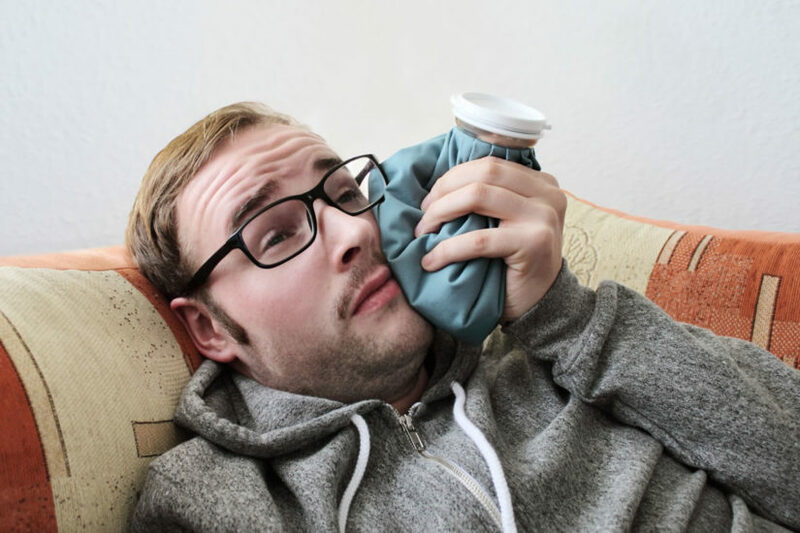 Some pain after a dental procedure is to be expected, but if the pain persists or even increases within three days after the procedure, this could be a sign of an infection. Contact your dentist or surgeon for further instruction if you are still in great pain three days after your dental treatment. Another type of infection that can come after a dental procedure is osteomyelitis. This is a bone infection that can cause a lot of pain in your jaw. If you spike a fever, this could be a sign that you have an infection and should call your dentist immediately. Another problem that can occur after a dental treatment is excessive bleeding. Bleeding is common after a procedure, but if it continues for more than a few hours after the procedure is performed, you should contact your dentist. They may need to close the opening in your mouth with either stitches or sutures if the wound continues to bleed. There is often lingering pain after a dental treatment, and this is normal. Your dentist can prescribe you a pain medication to help ease the pain, or you can take an over-the-counter medication to help relieve the pain. Be careful to only take your medication as directed by your dentist so as not to hurt yourself by taking too much medication. You should also consult your dentist before taking any over-the-counter medications along with any prescribed medications that you may have been given. If you are prescribed an antibiotic, remember to completely finish the medication to prevent any infections. It’s best to rest for about 48 hours after your dental treatment or surgery. Participating in too much strenuous physical activity can increase your risk of opening any healing wounds or stitches and can also increase your chance of getting an infection. Resting for the first two days after your treatment can also help the healing process along quickly and efficiently. One of the most important things you should do after undergoing a dental treatment or procedure is to follow your dentist or surgeon’s instructions. They will most likely give you instructions on when to take pain medication, when to start eating, what foods you can and should eat, how and when you should change any bandages, and when to come back in for a check-up appointment after the procedure. Because of their skills and background in dentistry, they know better than anyone else how you should take care of your mouth after a dental treatment. Your dentist may tell you not to brush your teeth because your mouth may be too sensitive for normal oral hygiene practices. As counterproductive this kind of instruction may seem, you should trust your dentist’s instructions. Instead of telling you to abstain from brushing or using mouthwash, your dentist may encourage you to rinse your mouth with saltwater or another simple solution. No matter what your dentist tells you to do, it’s best to do it. Your dentist knows what’s best for your mouth and wants it to heal appropriately, so following their instructions is important for your health. It’s likely that parts of your jaw or face may be swollen for a few hours after your procedure. This is normal, but you’ll probably want to ice it. For the first day or so, you should keep ice on the swollen area for 15 to 30 minutes and then take the ice off for 5 to 15 minutes. If there are multiple areas of your face that require ice, switch the ice from place to place after 30 minutes. If the swelling hasn’t gone down after two or three days, contact your dentist to make sure everything is alright. After having a dental treatment or procedure, you should be careful with what you eat. The best things to eat after a treatment or procedure are soft foods such as yogurt, applesauce, oatmeal, or mashed potatoes. You should avoid foods that are too hot, too cold, extremely spicy, super chewy, or very tough. Any of these can damage the work that has just been done in your mouth. Eating soft foods will also help to keep pieces of food from getting caught in between your teeth and creating problems. If you notice anything out of the ordinary after having a dental treatment or procedure, you should contact your dentist right away. They can answer any questions you have and help you make a full recovery.